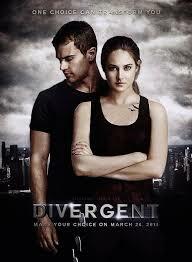 Who’s been out and seen the movie Divergent!?! Like any other book to movie franchise, the book is always way better. Of course it is! It takes a person how long to read a book? And how long to watch a movie? Exactly, movies have to put all that information into about 2 hours. If you can read an entire book that fast, way to go, but I can’t. I don’t think I would get all of the details if I read that quickly. Tris (aka Shailene Woodley). I had my reservations. I’ve watched Secret Life of an American Teenager. I’ve seen her act. I wasn’t very impressed by the ABC Family show. But here? She is Tris. From the beginning on, she got her down. I was way impressed by her acting here and am very glad that she was able to step up to the character. Four aka Tobias (aka Theo James). Before I saw the movie, I felt the he looked a little bit older than the books described. Watching the movie, I didn’t give a f*! He’s freaking hot! Holy wowee! He can be my Four anytime! The rest of the characters didn’t really get their due diligence, but that’s what happens in movie adaptions. I am excited and can’t wait for the next movie to come out. I think I might see this one in theater a couple of more times, too! That first viewing is all about the new and comparison. The second one you can really appreciate what the director and actors have done. If you haven’t seen the movie because you’re afraid it’s not that good. I have seen many a review that said it was horrible. Screw that! Go out there and judge it yourself.